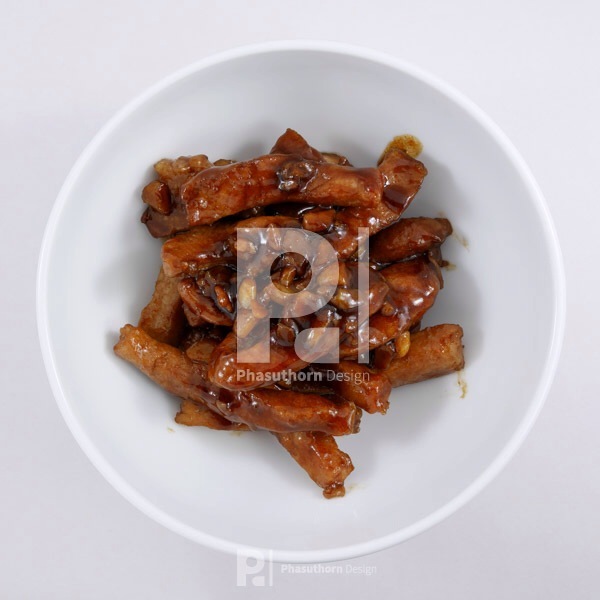 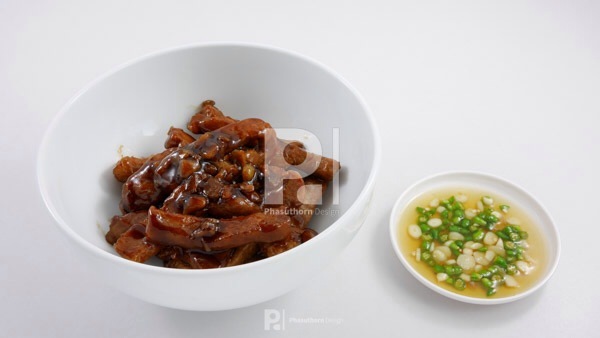 Stir fried pork with black sweet soy sauce. 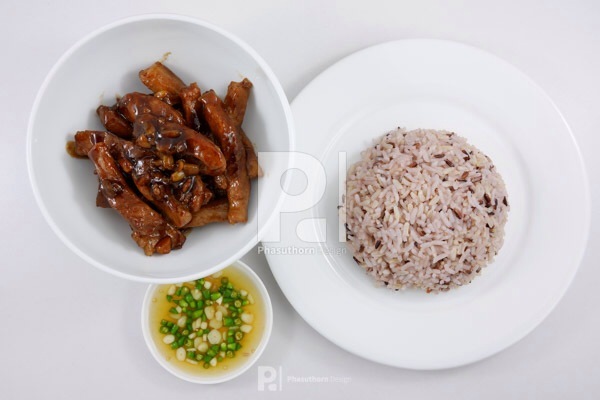 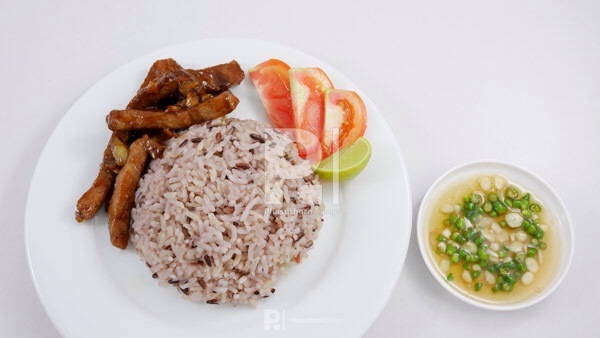 Brown rice and stir fried pork with black sweet soy sauce and chili fish sauce. 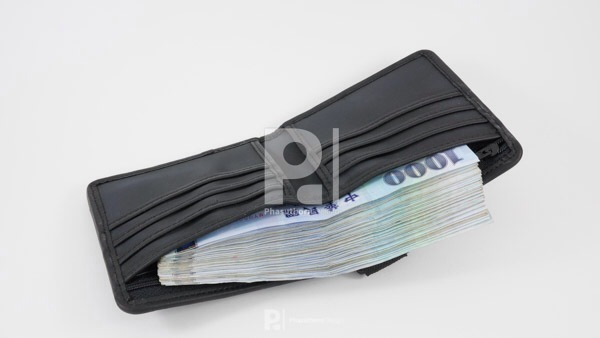 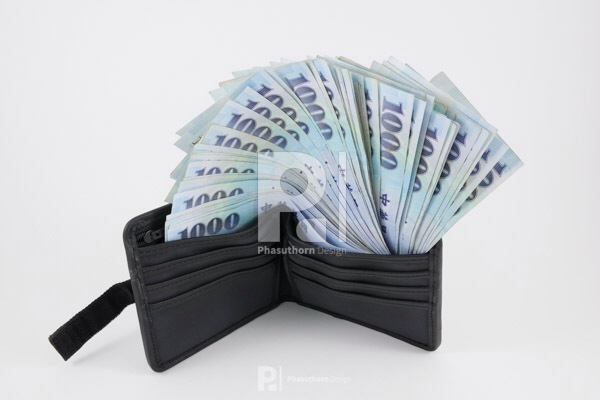 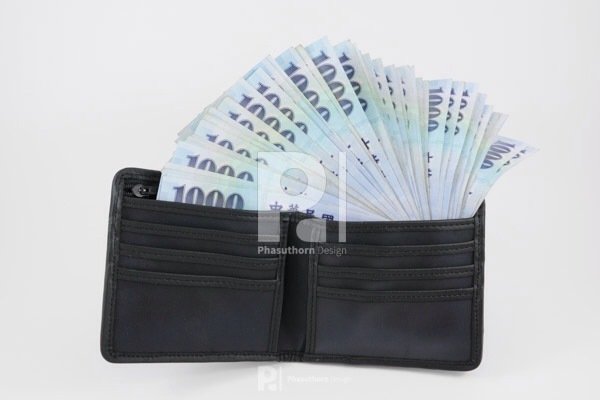 New Taiwan Dollar money in black wallet.